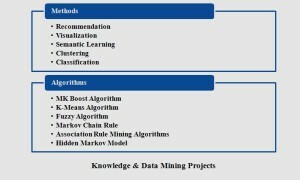 Knowledge & Data Mining Projects In Java is the best combination of project & thesis development,Because wordnet & weka and some familiar data mining tools fully supported to java.java is an object oriented programming language used in many computer science projects. We develop java computer science projects code in core java or advanced java language. 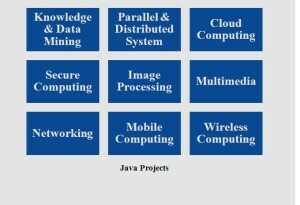 We adopt swing, JDK, applet and JDBC to develop java computer science projects. We support all final year CSE, IT engineering students, B.sc/M.sc & BCA/MCA students to develop projects in java language. We design web based & window based application in java language. 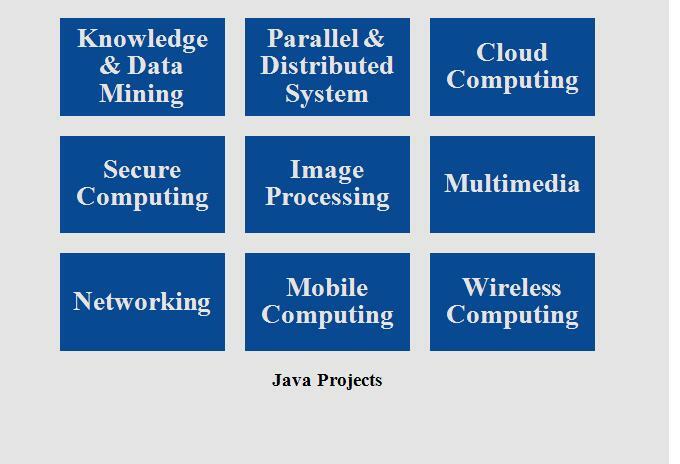 We implemented computer network, data mining & other computer science related projects in java from Elsevier paper. We adopt java to develop web service recommendation system & visualization technique to achieve QOS in searching area. 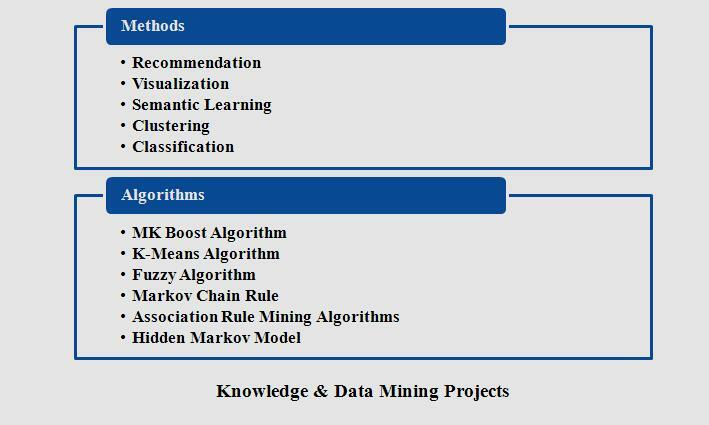 We implement MK boost algorithm, markov chain rule, correlation, rule based mining algorithm, semantic matching algorithm and hidden markov model by java language. We efficiently design Sybil attack in large scale social network, feedback based recommendation system, direct indirect discrimination and ranking system by java language. We solve distributed file system problem by load balancing in java computer science projects. 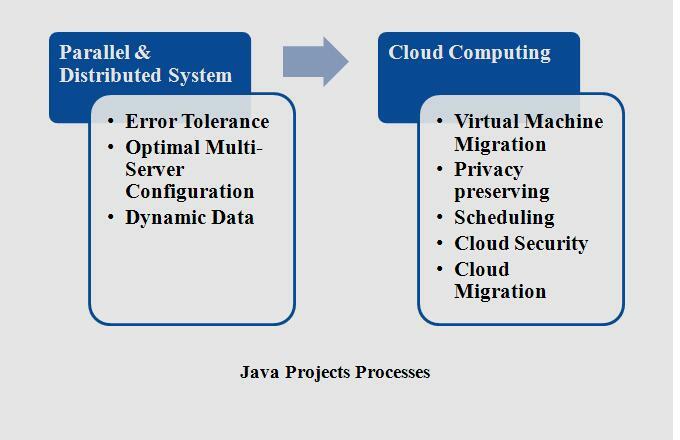 We implement error tolerant, optimal multi server configuration, dynamic data in cloud computing based java language. We simulate parallel and distributing network by gridsim & peersim tool which support java language. We proposed military application based security projects in java platform. We implement attribute based encryption, cyber text key policy attribute based encryption and cryptographic algorithm in secure computing projects by java we maintain confidential patient health information in cloud computing achieved by java language. We developed more than 100+ projects in intrusion detection, prevention, sensor network, distributed computing network & more in java platform. We establish java as well defined framework for image processing & multimedia processing application. We design face image retrieval, back feature extraction, cross model retrieval process, face image retrieval and recognition system by java language. We propose bio metric application as finger vein recognition and finger print recognition projects in java language. We implement reliable data delivery in network & communication application in java platform. We developed traffic management in wireless sensor network analyze wireless sensor network, implement energy efficient algorithm in mobile adhoc network in wireless communication. We adopt java to implement mobility model for fault node recovery algorithm, gossip protocol and firewall optimization.